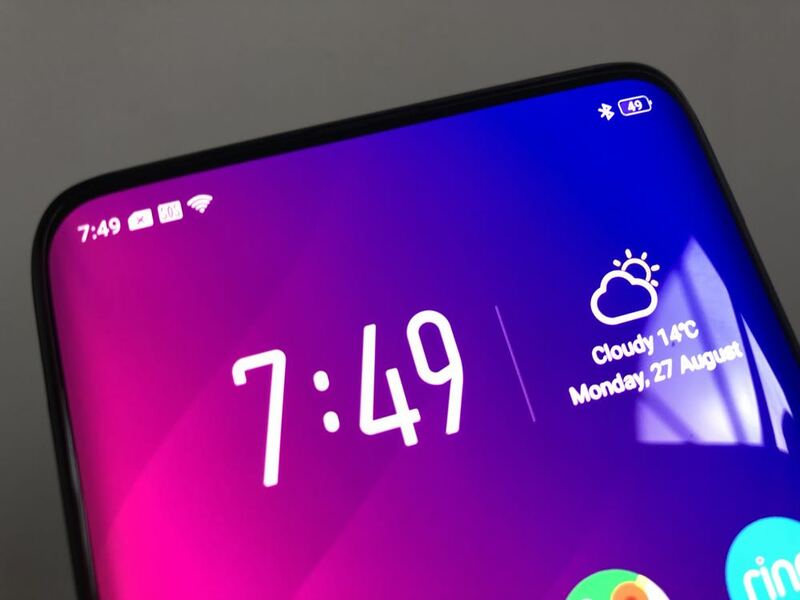 Oppo’s Find X offers a refreshing new approach to the smartphone that maximises screen real estate by intelligently hiding the camera until you need it. 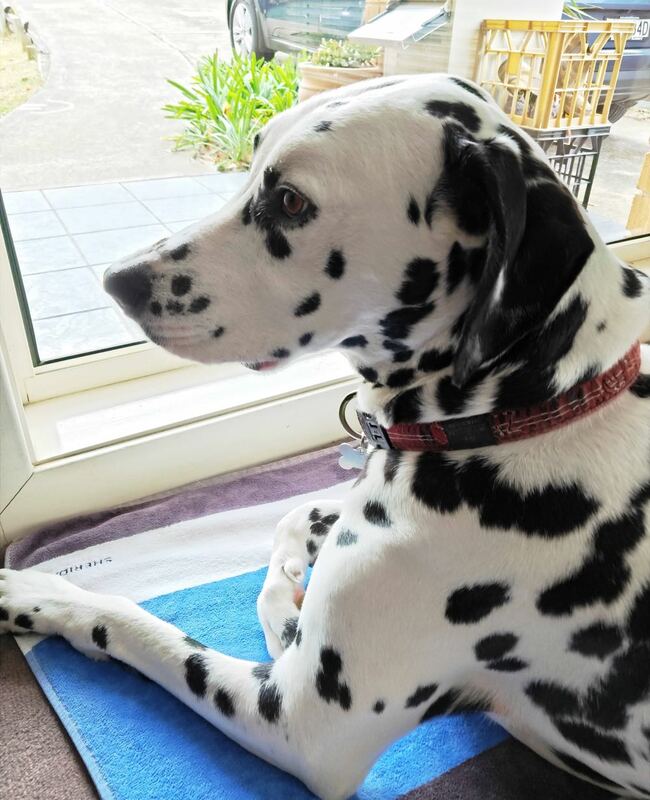 It is a bold device that’s a pleasure to use. 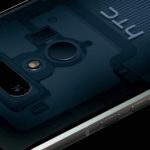 Oppo has certainly created some waves in the smartphone market and it will continue that disruption with the release of its unique Find X – a nicely-designed device with a hidden camera – and no notch. 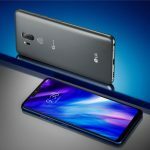 The Chinese challenger brand has been delivering attractive smartphones (many that look identical to iPhones) for years but the Find X has gone in an exciting new direction. 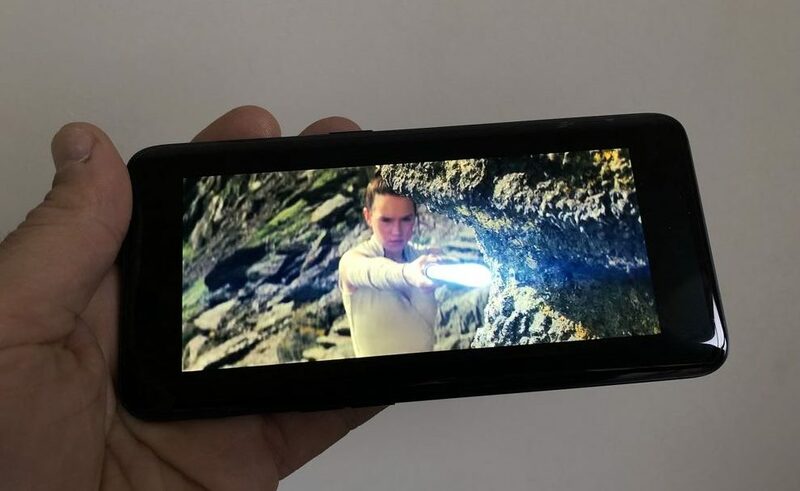 What we’re seeing with most devices is an 18:9 display but they still have to make room for front facing cameras and sensors and speakers. 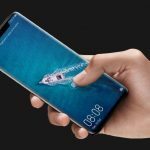 Apple got around this by introducing the notch and many other 2018 phones – the LG G7, the Huawei P20 Pro, Huawei Nova 3i and the upcoming Google Pixel 3 have also included a notch as well. 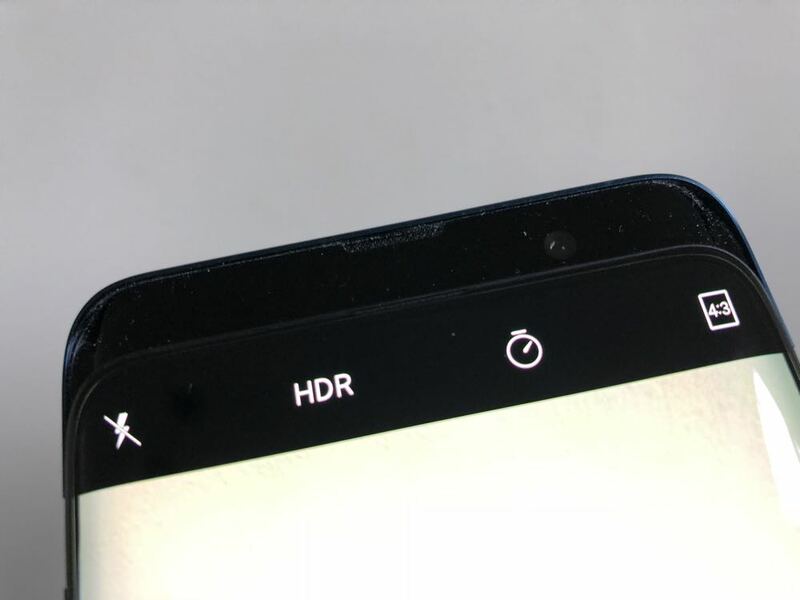 Even Oppo’s very own R15 Pro has a notch. But not the Oppo Find X. 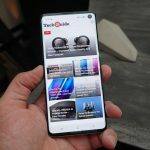 The 6.4-inch Panoramic Arc 19.5:9 AMOLED display (which looks a lot like Samsung’s Infinity Display) takes up almost the entire front of the device. In fact, it has a screen to body ratio of 93.8 per cent. At the top, the screen reaches almost to the top and has a tiny bezel while the bottom of the display stops above a very small chin. 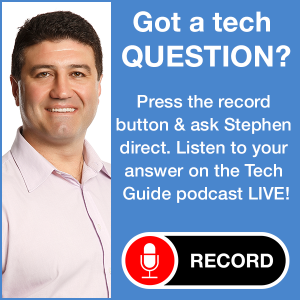 This means you’ve got even more room to enjoy your content, websites and apps. So where the hell is the camera? When you want to take a photo or want to unlock your device, the camera rises elegantly from the top of the device. And it take less than second to appear and when you’ve taken your pictures or unlocked the Find X, that camera just disappears. Design-wise, the Find X is impressive with the curved edges of the display mirrored on the back. That back panel is nicely uncluttered – there are no cameras, remember? 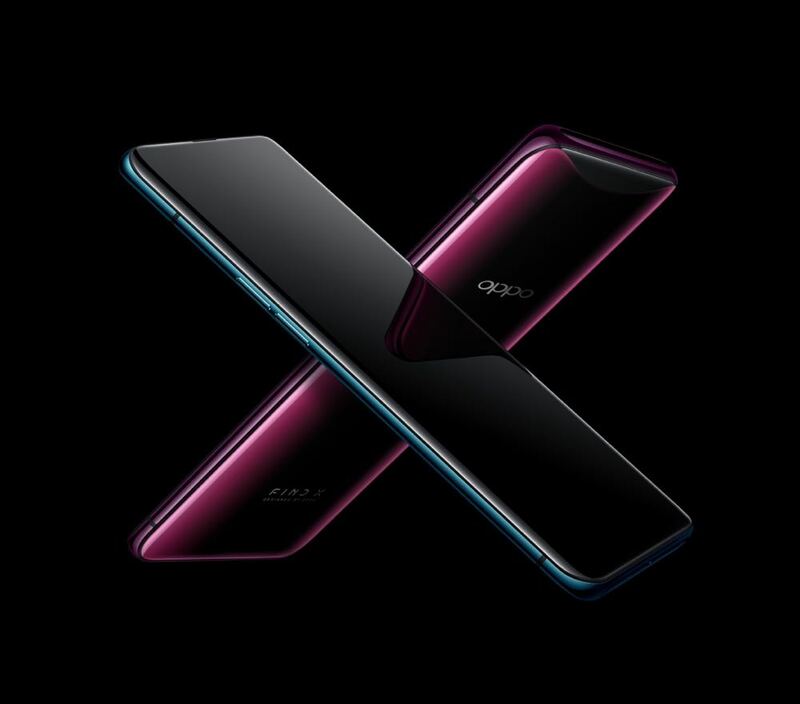 The Oppo Find X is available in two gradient colours – Bordeaux Red or Glacier Blue – which reflect the light nicely. The build quality is also solid – it doesn’t feel fragile at all. Find X is slightly thicker than other smartphones at 9.6mm to fit in that camera mechanism but you’ll hardly notice the added thickness. 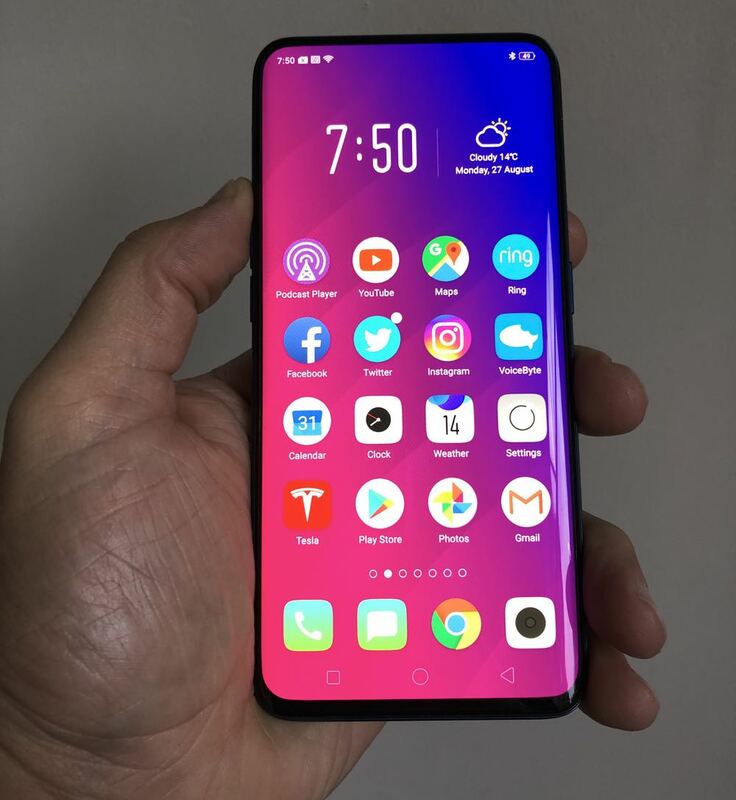 But it’s not all about the looks when it comes to the Oppo Find X. 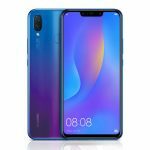 The device is powered by the Qualcomm Snapdragon 845 mobile platform with a generous 8GB RAM and a 3,730mAh battery. The stealth camera takes impressive images, spectacular selfies and also reads your face in an instant to unlock the device. 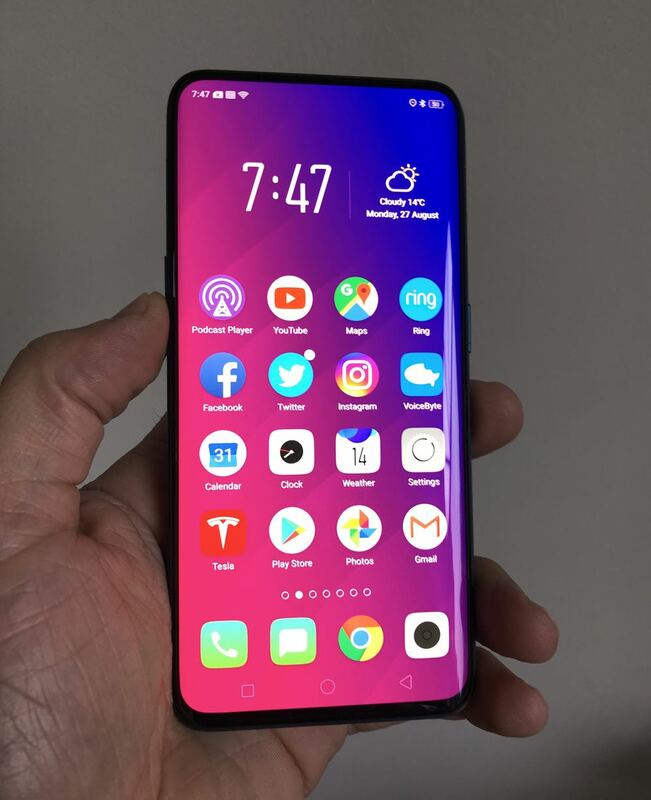 During set-up, the Oppo Find X takes a 3D picture of your face – it took six attempts to get this right for us – and used 15,000 facial dot recognition points to analyse and match your face – that’s 20 times more secure than a fingerprint. And there is no fingerprint reader anyway but the face recognition worked nearly every single time. When it didn’t we either asked it to have another look or punched in our six-digit passcode. And there’s no home button either so a press of the side power button wakes up the screen and then a swipe up on the screen activated the camera for face unlock. But just how often could the camera pop up and down like that – and will it waste the battery faster? 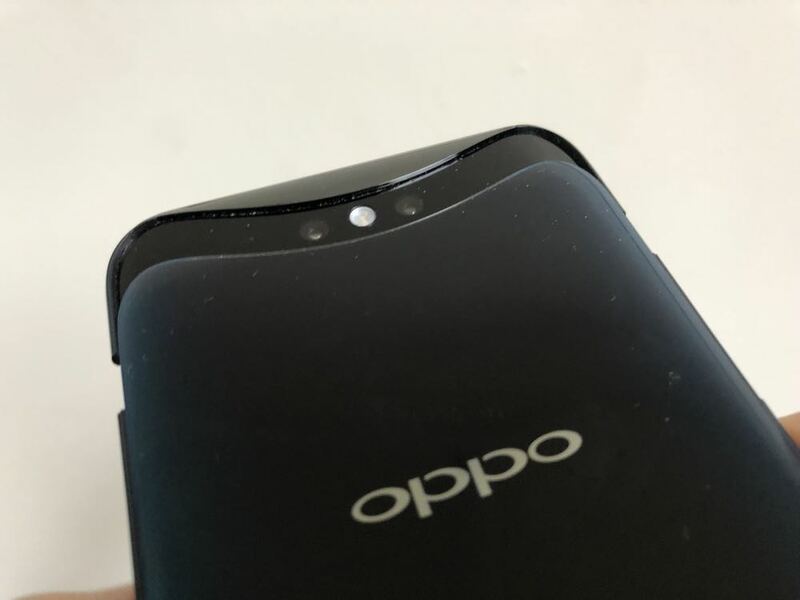 Oppo says it conducted durability tests on the Find X – which activated the camera 300,000 times without a hitch – that’s the equivalent of three years use. But what about if you drop the phone with the camera extended. No worries – the camera can instantly detect the fall and retract the camera in a split second. 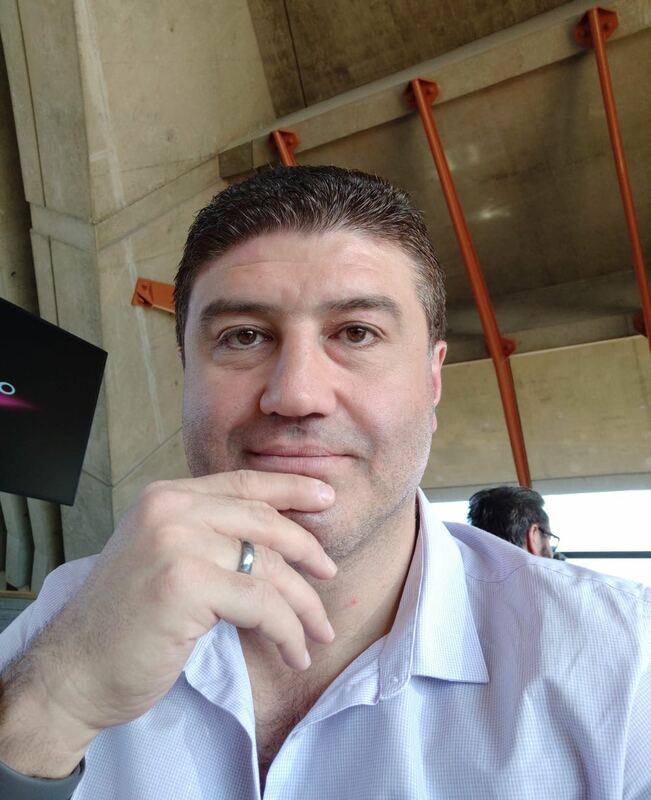 We tested this by dropping the phone from above our head to our other hand and surely enough not only had the camera retracted, there was also a notification to say that a drop had been detected and the camera had been closed. And there was also the option activating the camera again from this notification. That was really impressive. We’ve been using the Find X as our daily driver for a week and I thought the gimmick of the stealth camera would wear off – but it didn’t. We were thankful of the added screen space. Videos looked great on the screen but the built-in speakers were good not great. Our only gripe was seeing dust on the camera module which we could only wipe off when it’s opened to take a photo. 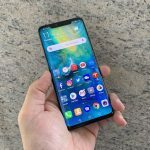 What was also impressive was that the screen blanked out when we brought the phone to our face when making calls – a remarkable feat when you can’t see the proximity sensor on the front of the phone. And the camera didn’t appear to provide that sensor. Like when you see a magic trick – we asked, “how do you do that”? The rear cameras on the Oppo Find X are 20-megapixel and 16-megapixel and images are crisp and impressive. There is plenty of detail and natural colour in bright light but it did struggle a little in low-light situations. AI comes in to play here to enhance your images with better contrast and exposure based what it can see. The front facing camera has a huge 25-megapixel resolution and is also enhanced by AI its ability to read 3D facial features to give you better lighting options and portraits. If you love selfies, the Oppo Find X is a first-class experience with images looking super sharp and smooth. 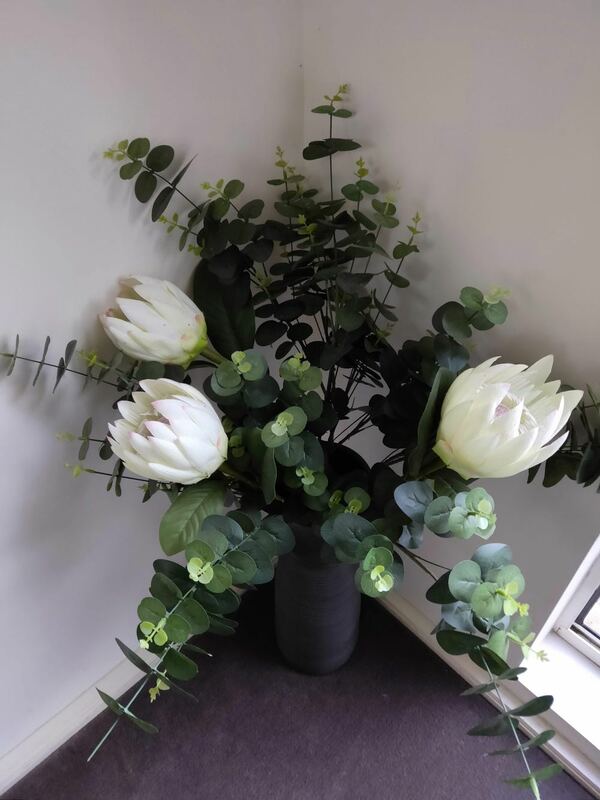 The Find X camera is not in the same class as the iPhone X, Samsung Galaxy S9, Samsung Galaxy Note 9 and the Huawei P20 Pro – but it’s not far behind and can still produce some respectable images and selfies. 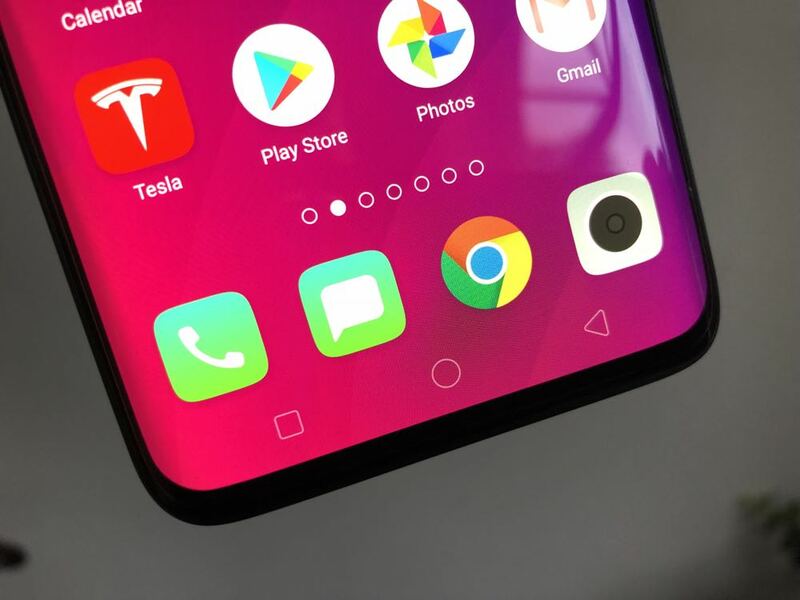 The phone is running the ColorOS 5.1 user interface – which looks a lot like Apple’s iOS – above the Android 8.1 operating system and is easy to navigate. Battery-wise, the Oppo Find X lasts for a day and half on a single charge. I thought the stealth camera popping up and down all day would cut into the battery life but that was not the case at all. The 3,730mAh battery is one of the best we’ve used and its miserly use of power was a pleasant surprise. And when it is time to charge, the VOOC fast charging gets you back to full strength in just 35 minutes. 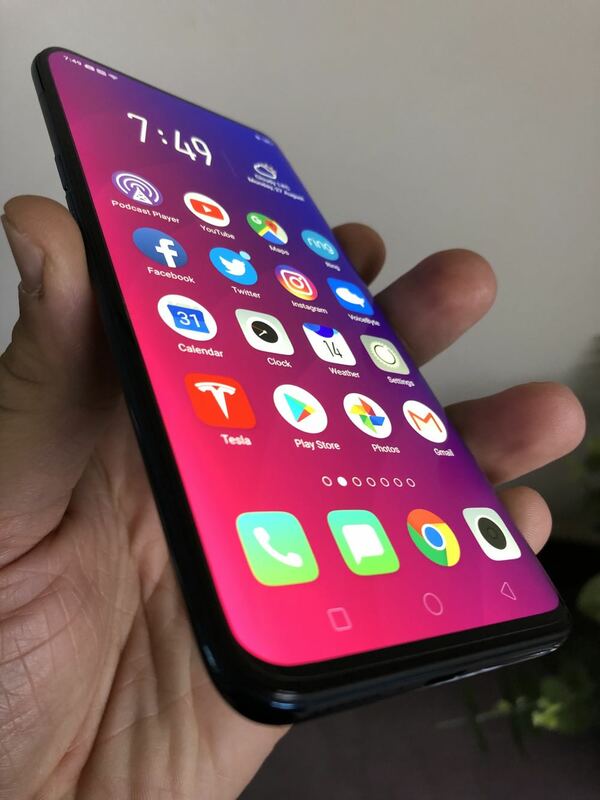 Now there’s a lot to like about the Oppo Find X. But there are also a few things missing as well. There is no NFC so tap and go payments are are out. The device is also not water resistant – I think the retractable camera put paid to that. It does have a generous 256GB of onboard storage but does not have a microSD card slot to expand that further. To us memory is like money – you can’t have too much – and Oppo missed out on an opportunity here to make this device even greater. 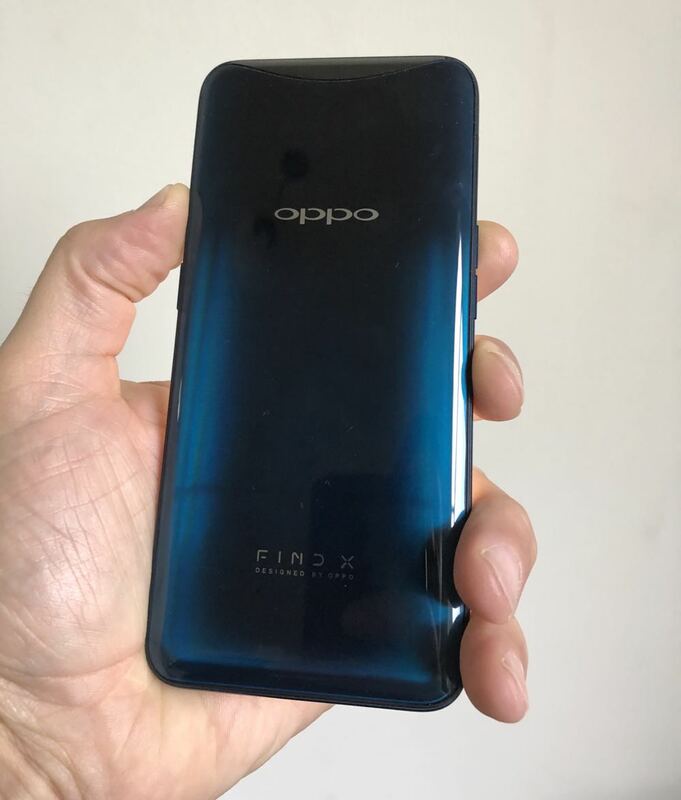 In our use of the Oppo Find X we also noticed some fine scratches on the gradient colour rear panel. Nothing drastic but you can still see them in the light. The Oppo Find X is available now exclusively through JB Hi-Fi and is priced at $1,099.